Users with multiple monitors know the nightmare of dragging your cursor or file windows from one screen to another. 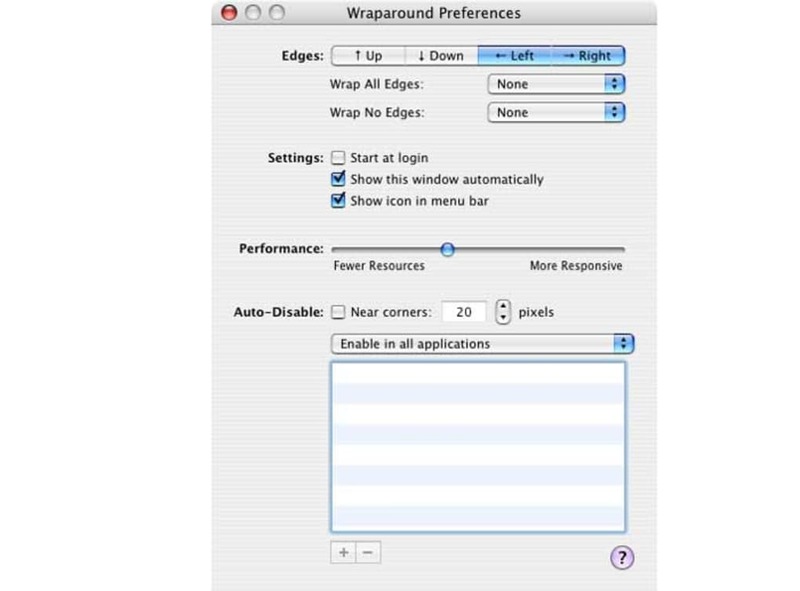 Wraparound aims to resolve this issue by wrapping screens around each other. After having activated it, you'll be able to access all of your monitors just by approaching your cursor to the edges of your screen. Wraparound works very smoothly and allows you to choose which edges you which to enable. The application appears and can be disabled from the menu bar, making it easily accessible, no matter how busy your Mac's desktop is. 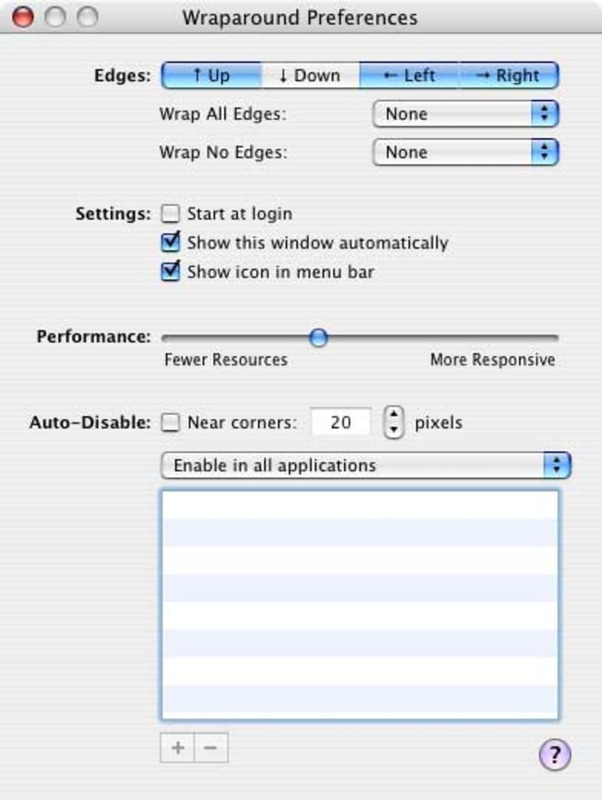 The drag bar in the preferences window lets you adjust it to be more responsive or use fewer resources. We suggest leaving it at the middle though, as it can be a bit difficult determining what setting is best for you. You can choose to enable Wraparound in all applications or only make it active with a few that you have selected. Users will also be happy to know that Wrapround preserves the different backgrounds for each monitor. In all, if you work with multiple monitors, Wraparound will make your life much easier. Wraparound can handle even the most abnormal of screen layout configurations, and even allow windows and other objects to be dragged though screen edges. And if you're worried about not being able to hit your menu bar or dock without the edge to stop the cursor, you can always turn off horizontal or vertical screen wrapping to suit your preferences. It also preserves screensavers and Exposé functionality with variable sized non-wrapping areas at the corners. What do you think about Wraparound? Do you recommend it? Why?